The new Honda Odyssey is a family-friendly minivan for drivers in Albany and Troy. If you are wondering, “how do the Honda Odyssey trims differ?” or “how do the Odyssey vs Toyota Sienna compare,” feel free to contact us at Rensselaer Honda to learn more! If you’re looking for a new family vehicle that will help improve the ins and outs of your daily drive, the Honda Odyssey is exactly the vehicle that we would recommend. 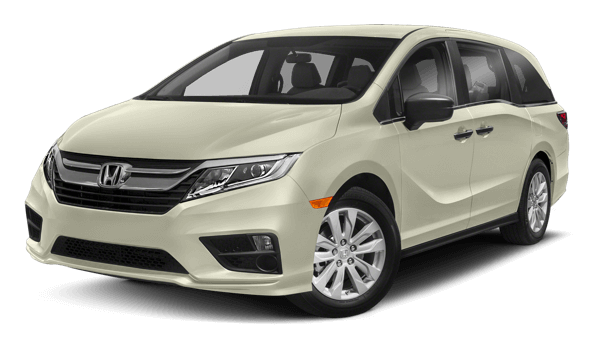 Offering plenty of space and fun features to keep everyone entertained on drives around Saratoga, our inventory of Honda Odyssey models is right up your alley. You can start your search utilizing the search factors available on our website. Find the model that is right for you based on price, features and even available trim configurations that we might have in our inventory! We can’t wait to assist you with a test drive in Troy, NY and we’re eager to help you find the model that works for your busy lifestyle. For a minivan, the Honda Odyssey can have a lot of fun. For those in need of a bit more muscle in their minivan, this Honda model is standard with a V6 engine that puts out solid horsepower and pounds per feet of torque. An Eco Assist™ System is in place if you want to be more efficient although you will sacrifice a bit more muscle to achieve this. Drivers in Schenectady will love how much space they have available, both for passengers or to make short work of those large shopping trips. We can take you through our inventory of available trim levels to find the features that most benefit your daily commute and family life. Some models include an eight-inch touchscreen display and the integration of Apple CarPlay™ and Android Auto™ while others will include an advanced rear entertainment system for passengers in the back row. Want to discover what the Honda Odyssey can do for you? Come check out our available inventory of new models and our friendly brand ambassadors will show you which model is the right one for you!